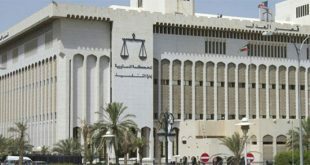 KUWAIT CITY, Oct 6: The Misdemeanor Court has fixed Oct 27 for the hearing of a State Security case filed against a female Kuwaiti blogger Sarah Al-Darees who has been accused of posting statements considered malicious against His Highness the Amir Sheikh Sabah Al-Ahmad Al-Sabah on her Twitter account. The court also ordered her release on bail worth KD 500. Earlier, the Public Prosecution had decided to detain the blogger for 21 days in the Central Prison. She was then brought to the court from the prison and she pleaded not guilty to the allegation. 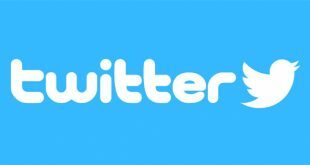 She had allegedly posted a ‘tweet’ concerning the rumored Amiri pardon for the convicted ex-MP Musallam Al- Barrak. ‘Await verdict’: The government must wait for the verdict of the Court of Appeals over its decision to increase fuel prices, before approving any financial allowance for citizens earning limited income, reports Al-Anba daily quoting legal sources. They said, “In case the Court of Appeals upholds the verdict of the Court of First Instance, which had cancelled the decision, there will be confusion.” The sources insisted that offering financial allowance to a specified class of the society could be considered as a violation of the Constitution, indicating that it also contradicts the government’s expenditure rationalization policy, which was one of the reasons for the increase in fuel prices. They suggested two solutions for handling the current crisis. The first suggestion is to reduce the fuel prices to 75 fils per liter for Premium type instead of 85 fils, 90 fils per liter for Super type instead of 105 fils but retain the price of Ultra type fuel at the current rate of 165 fils per liter. The second suggestion to the change the fuel prices every month based on the market like the diesel prices. Duo under probe: Upon orders by the Public Prosecutor two Kuwaitis have been referred to the Central Prison pending investigation, reports Al-Rai daily. The men are charged with abusing the State symbols — prominent personalities from the State Security department. The suspects are said to have edited the pictures and placed their faces on the bodies of indecently dressed actresses. The pictures were seen in Jabriya, South Surrah, West Mishref and other areas. Intensive police investigations led to the arrest of the two Kuwaitis, identified only as N.A. and A.M. Car dragged away: Police are looking for an unidentified person for stealing the 2015-model car of a young Kuwaiti which was parked in front of his home, reports Al-Anba daily. 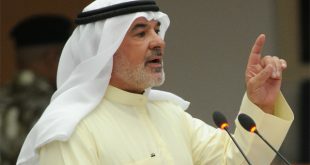 The Kuwaiti said there is no duplicate key of the car and he suspects the thief may have used a winch to steal the car.